There aren’t words, only deep feelings of joy and gratitude for Randi and how she perfectly captured our wedding. She captured everyone’s personalities, she caught all the little moments, and most of all she captured all the love. I’ve pretty much cried at least 5 times since seeing just a few of the photos so far. Girl you're amazing! I don't know where to begin! Randi is AMAZING! She has such a big heart and is so easy to get along with! From the beginning, she was very responsive and helpful. She offered any information and help she could give and took the time to help answer any questions we had. 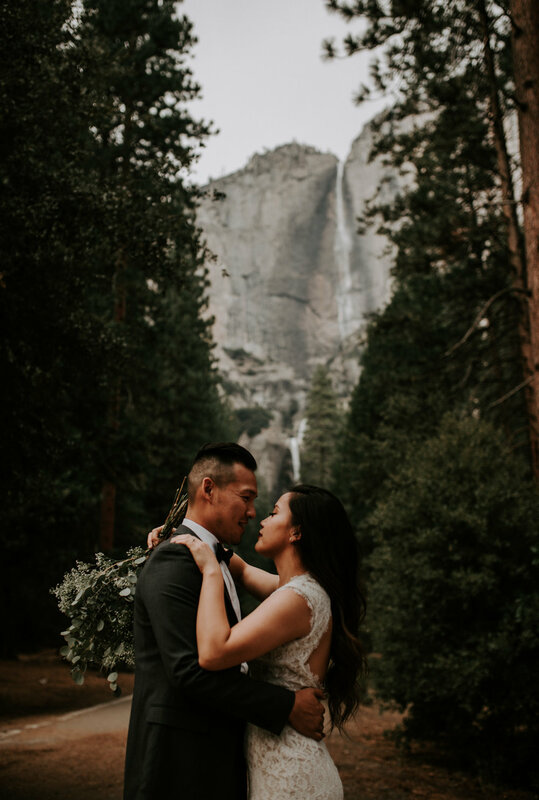 We shot our elopement in Yosemite and could not have asked for anything more! 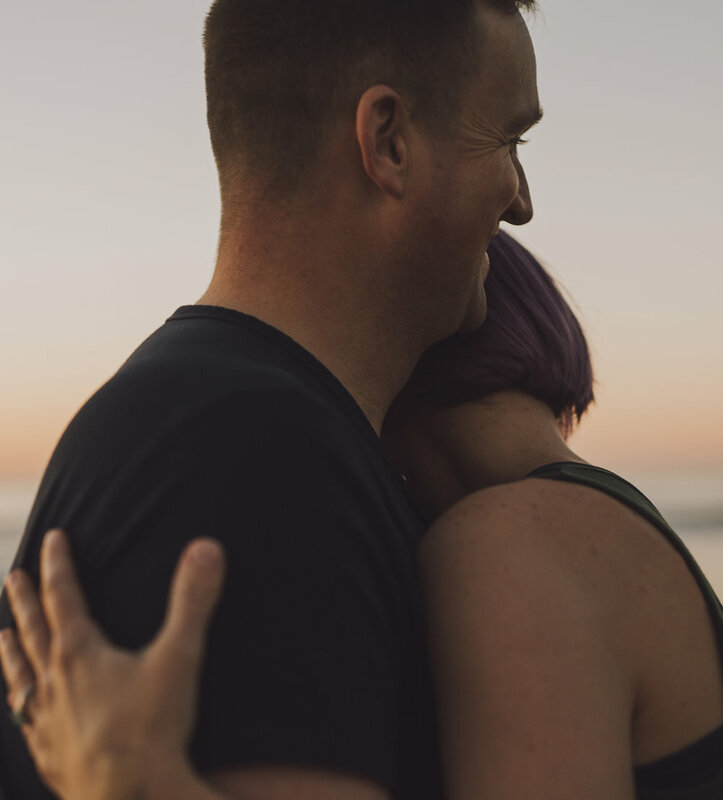 We were both nervous for the elopement and being in front of a camera, but Randi made the session very comfortable and relaxing and was able to capture beautiful images full of all sorts of emotion! Thank you so much Randi! We are forever grateful for what you have given us! LOVE LOVE LOVE!! I would give her more stars if I could. During the wedding photographer search, I was actually set on another photographer, but he had horrible communication. So even though I was in talks with him, I kept looking. So I was scrolling through Instagram, then I saw Randi's pictures and cancelled with the other photographer immediately. Her pictures were far better in quality and I loved her style. Her pictures aren't posed and stiff. One major factor in choosing Randi was her editing style. A lot of other photographers had over-brighten photos that hurt my eyes. I didn't want to look at photos that were so bright and fake happy looking. Instead, she captures pictures in candid moments that evoke so much emotion and intimacy. I do not like having my picture taken, but Randi made me feel so comfortable and even in the times I was awkward, she was able to capture the glimpses of realness. I get so many compliments on our engagement photos, and definitely have gotten some friends copying our photos. We felt that Randi knew exactly what we wanted, almost like she was in our heads. I don't think I was too clear with my description of what I wanted, yet she nailed it. I would rate my wedding as okay, only because Randi saved it. It was a scorching 100F at 5pm and 90F at 9pm, with a slew of wedding day mishaps. I had family messing up our day-of schedule, so we lost time and daylight for our couple pictures. BUT, I don't know how she did it, Randi managed to get so many photos of us that we LOVE. I was expecting only about 5 good ones because of the time limit, but I got at good amount. I got so many that I can't choose which ones to blow up onto a canvas. A few of my favorite photos are ones she captured of my family. One of my absolute favorites is of my dad. It is a picture of my dad walking me down the aisle and looking at my husband. I can see all the love and emotion he had that moment/day. I love scrolling through my online wedding album because I get to re-live the day, but only the good/best things are there. I can forget about the stresses and just enjoy how the wedding looked to guests. The guests loved it and I wanted to see it through their lens. Lastly, Randi is SUPER generous with her time. We had booked her for a full day shoot, but she definitely went overtime. I forget the exact amount of time but definitely over 12 hours. She wanted to make sure I got all the photos I wanted, so she even strapped on her camera AFTER she put it away in order to get a last minute photo with my ring bearer. She is ridiculously talented and has a big heart for her clients. You can definitely tell she cares about her clients and wants everything for them. Before I was even engaged I knew I wanted Randi as my wedding photographer. I have been a fan of her work for years. That's why she was the first vendor we booked when we got engaged. I emailed her asking for a quote. She met me for coffee the next week and we discussed everything. From the theme & style of the wedding; to having a second shooter. She was extremely helpful in planning the early stages of our wedding with sending me different venues and ideas for the special day! She quoted us a price that I could not refuse and how often does a girl get her favorite photographer to do their wedding. ALSOOOO the price included a free engagement session. Which wasnt just in some park. We drove up to Palomar Mountain- which is where we got engaged by the way- And it was spectacular. We asked her if we could do some pictures in my husbands car - 1997 Jeep Grand Cherokee - and she totally went with it. Those pictures are some of my hubbys favorite. Which by the way -- some men are really reasonable when it comes to taking pictures. Some are not. My husband is the latter. And Randi handled him like a champ! She asked him to tell stories of us and it kinda got him a little bit more comfortable in front of camera. Even though we were covered in a cloud of mosquitoes, we had alot of fun. Randi was such a great emotional support as well. Because we ended postponing our wedding for another 6 months. And she made our new date a priority. Even a few weeks out she was checking in with me and sending me a "Wedding Day Questionnaire" which was super helpful logistically. The day of - Randi was STELLAR!! She showed up an hour earlier than I asked her to be and she like made the venue owner show her around and scope out all the best spots. She even found spots the venue has never used before which we really special to us. She was the reason why we where ahead of schedule that day. SHE WORKS FANTASTICALLY FAST! She maneuvered our bridal party & family expertly. That way we had tons of time for our couple shoot that was on the freaking mountain top she found with the most perfect lighting. Also we all got to travel on go-karts to the spot that was really fun and kinda of adventurous. Which is exactly what you wanna be on your wedding day, right?!! She stayed through the entire reception which was awesome because she captured amazing night photography of our guests doing their best dance moves!. She even sent us a sneak peak of the wedding album the next day and that we cherished until she sent us the full wedding album. WHICH I DIDNT STOP LOOKING AT!! It's three months later and I still find myself staring at them. THEY ARE BETTER THAN WHAT WE COULD HAVE IMAGINED!! My husbands a teacher and whenever he shows his high school students our pictures - They ask if we are models? Which makes me laugh. She uses this picture gallery website which is very user friendly. That even our grandparents figured it out. BOTTOM LINE!! 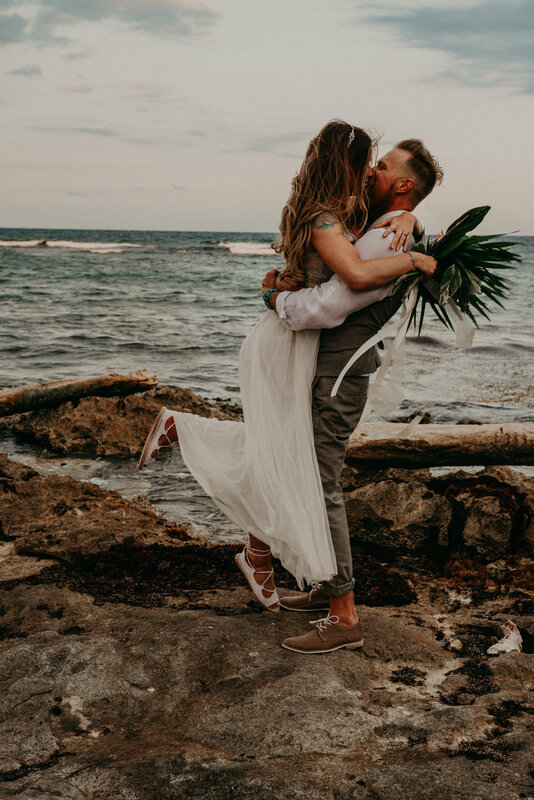 You want Randi capturing these beautiful moments on your special day! You wont regret having her on your team! Actually you need someone like Randi on your team of vendors. Cause she will always be rooting not only for your wedding day but also for your marriage! Randi was a fantastic photographer. She was able to take our engagement pictures last minute and somehow found time to scope out locations in advance. She made us feel comfortable and relaxed during the photo shoot. It was obvious that Randi knew what she was doing and she was able capture the beautiful sunset lighting that we wanted. Her photos are amazing and we are proud to use them for our save the dates and wedding decor! Randi is a phenomenal photographer and will go out of her way to make your experience and photos perfect. You will NOT be disappointed. We were incredibly lucky to have found Randi for our wedding. She was wonderful at communicating leading up to the day, providing helpful information and going above and beyond with helpful suggestions on all things nuptial. Randi is extremely professional and reliable-- she's methodical, punctual and takes her clients seriously-- it was great to find someone so dependable. She both listened to our ideas and offered her own excellent ones. She has a gift for helping you relax and find natural looking poses, and worked with all the challenges of natural lighting really well. 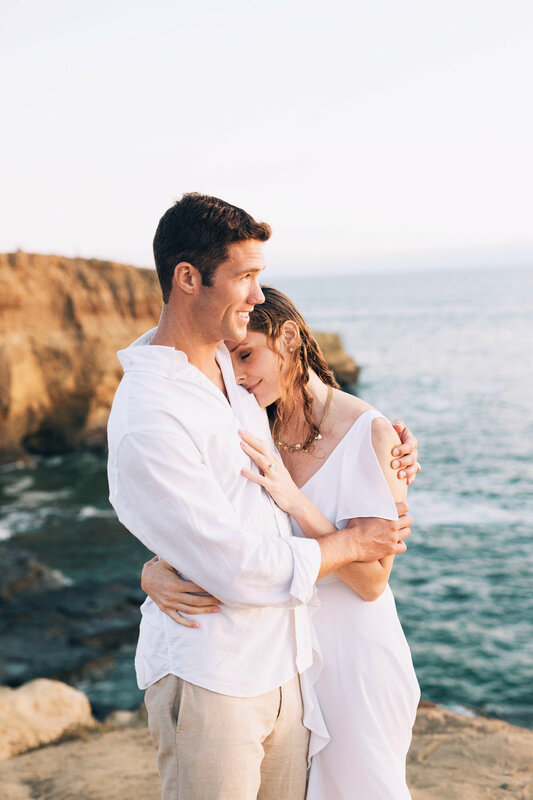 Our photos exceeded our expectations and really captured the beauty of the landscape, tender moments with family, and will be a perfect keepsake for the day. We couldn't recommend Randi more highly! Randi was amazing!! I snatched her about a month after my husband deployed. During the whole time he was gone we kept in touch regarding the ever changing homecoming date. She kept several days open for me as she knows deployment homecoming dates can change at a moments notice. A couple hours before homecoming Randi took pictures of me and my friends as we patiently waited out in the parking lots (taking the edge off with some bubbly) and also in the flight hanger. She was fun and energetic and captured some great moments. As I ran to my husband when he finally landed she took absolutely amazing photos and was so sneaky I didn't even know she was there. These are moments I will remember forever and hiring Randi was the best decision. As a fellow military spouse she knew exactly what we were looking for. She did not rush us and didn't leave until we took ever picture we could think of! Her photography skills are amazing and I highly recommend Randi for any event! Randi was a wonderful photographer! My husband and I wanted some couples shots and she worked with us to find a great location and time that worked for us all. She made sure she was familiar with the area and let us know the best time for golden hour and fewer tourists. Her shots are so gorgeous! She didn't just get good angles of us, which she did, and she didn't just compose her shots beautifully. She captured the love and humor my husband and I share. The photo shoot was so relaxed and comfortable and she practically disappeared into the background for much of it. And yet she captured these beautiful, intimate moments between us. Shared looks, the way we connect and touch even when we look different directions. And while I do not recommend having your kids at a couples shoot, our kids had to come to ours (babysitting fail) and she even captured some of the most beautiful portraits of my girls. These are the absolute best photos of my family ever! The only thing I regret is not being able to hire her 11 years ago for our wedding. Randi is amazing! She knew exactly how to capture the emotions of my boyfriend's military homecoming and was so patient with me through the ups and downs of it! The pictures were so beautifully done and I've gotten so many compliments on them. The pictures captured the very essence of our relationship from the silliness to how we feel of each other. I'm so glad I got Randi to do our military homecoming and can't wait to use her services for more events to come!